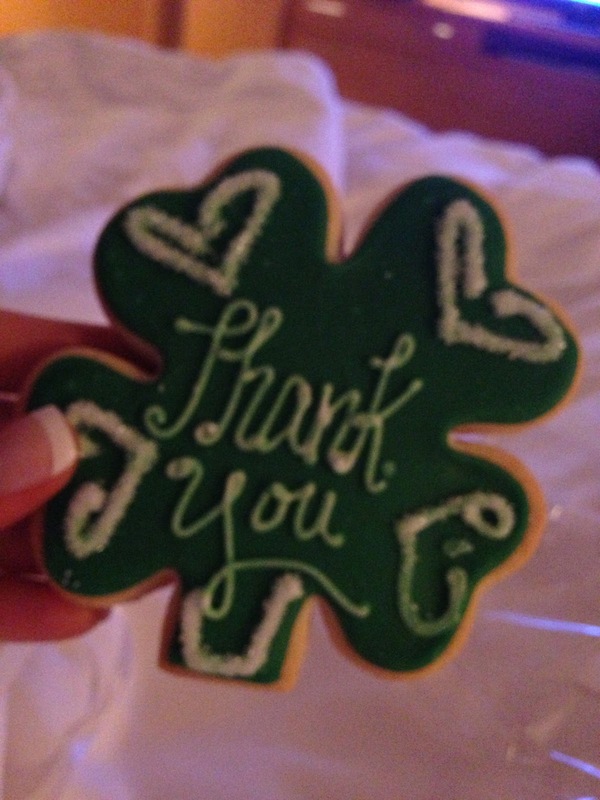 These cookies were handed out as a thank you at the end of the night! They were shamrocks, to honor St. Patrick's day weekend! So cute and yummy!